Watch me make this Homemade French Onion Dip from start to finish! 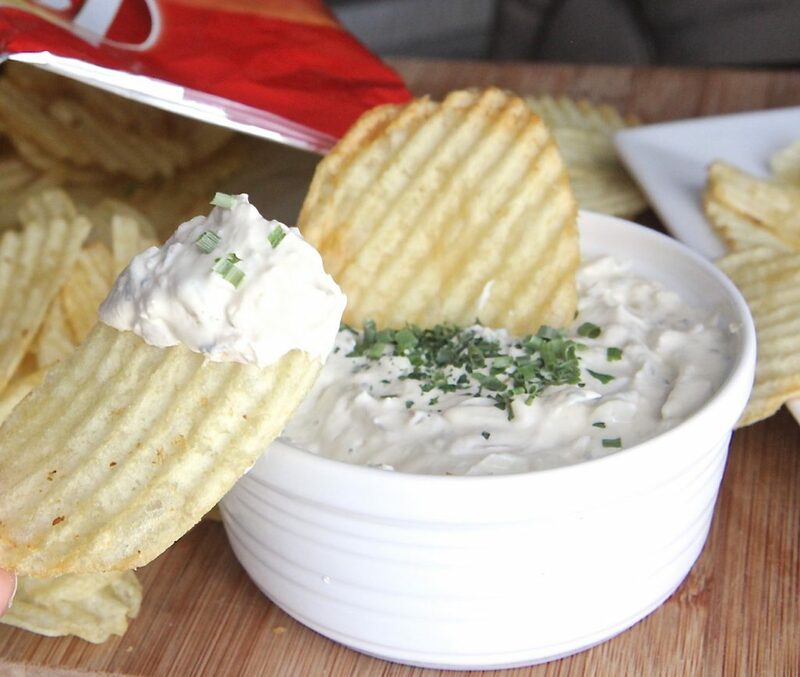 Give me a bag of plain Lays potato chips, a container of Heluva Good French onion dip and I’m a happy woman! Throw in some trashy reality tv with that and I’m on cloud 9! Why is French onion dip so daggum addictive!?!! I grew up on homemade French onion dip but somewhere down the line I got lazy and started purchasing store-bought versions. It gave me an easy fix but there is NOTHING, you hear me, NOTHINGGGG like homemade French onion dip made with sweet, caramelized onions. 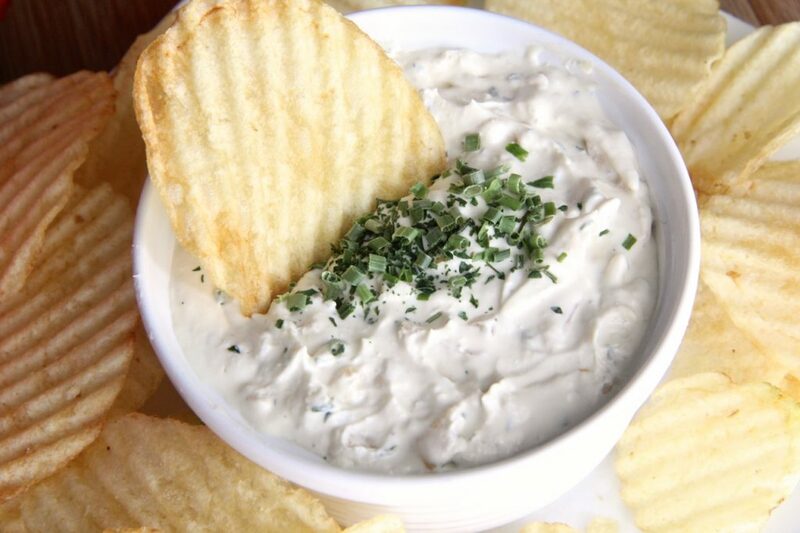 If you’re a French onion dip fan then you MUST make this recipe. Or…maybe not because then you’ll know what you’ve been missing and the store-bought versions will just become ” just ok”. You’d probably be really surprised at how easy making French onion dip from scratch is. It’s the waiting overnight that destroys me! 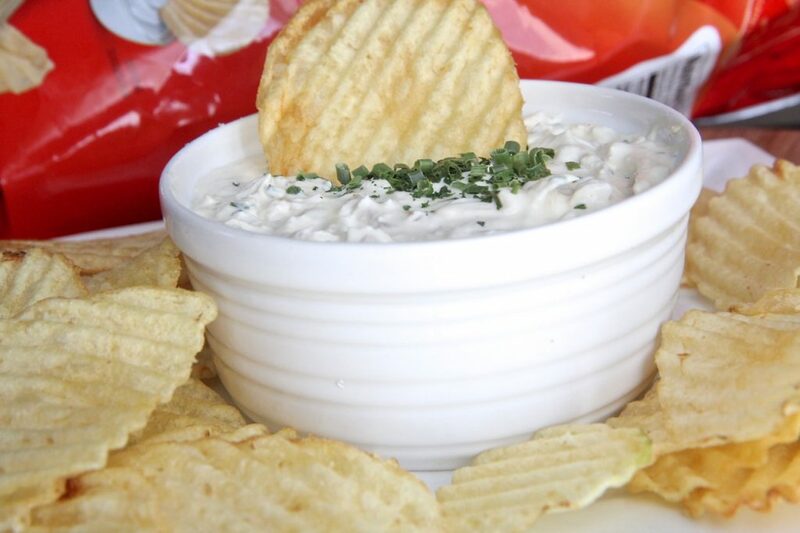 The flavors of this dip becomes INSANE once it’s had time to sit in the fridge overnight. You’ll definitely want to do that to get the full affect. Promise me you’ll do that ok. I just want you to experience the flavaaa! Like seriously this dip is one of the few dips that actually have me praying that God takes the wheel! I feel out of control with this stuff and before I know it I’ve almost finished off the entire bowl! Maybe that’s another reason why I don’t make it often. 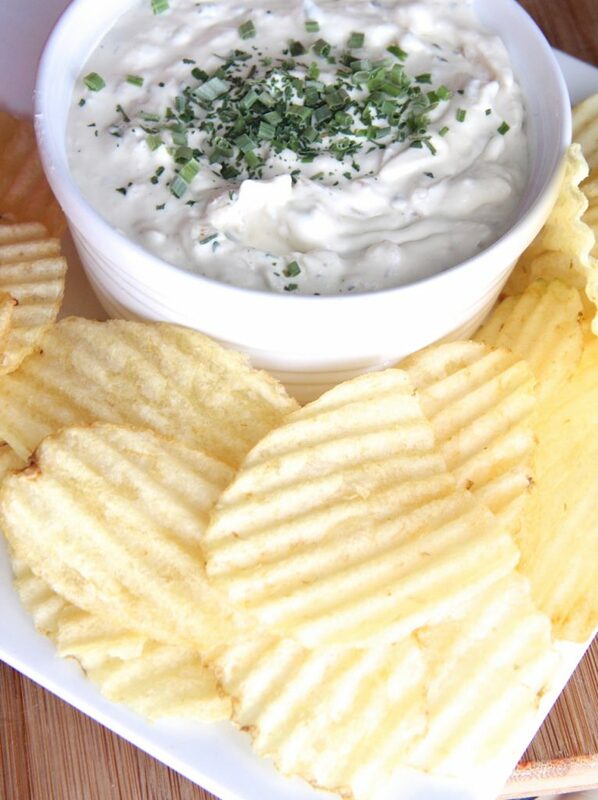 Take this homemade French onion dip to a party and it will get ravished! This French onion did is a variation of the one my grandmother use to make for her holiday parties. She uses creme fraiche but I actually prefer sour cream. There are so many different ways you can create the base for french onion dip. Some folks use mixtures of yogurt, ricotta cheese, cream cheese, sour cream, or heavy cream. I’ve found that this ratio of sour cream, cream cheese and mayo makes THE BEST FRENCH ONION DIP! It’s so tangy, creamy and balanced with a nice depth of flavor. If you like it in the thinner side just increase the sour cream a bit. Use a high quality sour cream. The less ingredients the better and organic is always the best! I often can find great homemade sour cream at the farmers market. If you like a heavy onion taste, feel free to increase the onions. Puree the finished dip if you prefer smooth dip. TASTE TASTE TASTE! Your tastebuds are your best friend. Taste often and season to your liking. Some folks prefer a heavy hand of garlic, I don’t. Just be really careful not to over season. 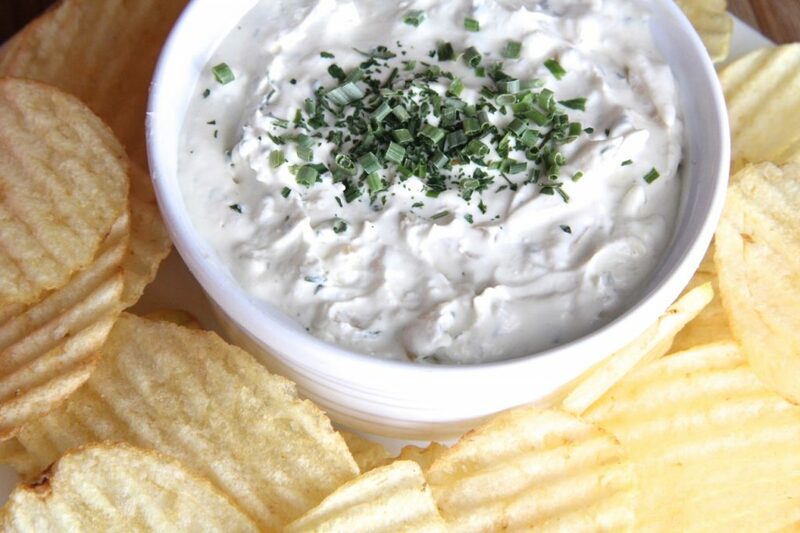 The flavor of this French onion dip will get stronger as it sit. In a large skillet, heat butter and olive oil over medium heat. Add beef broth and continue cooking until onions absorb the broth and they are tender and caramelized. Remove from heat and let onions cool. Meanwhile, mix together sour cream, cream cheese and mayonnaise until smooth and creamy. Taste mixture and adjust spices to your liking. Remember though, flavor will intensify greatly as it sits so be careful not to over season. Add a few pinches of salt and pepper, to your liking, being sure to after each addition. Cover tightly and refrigerate overnight. Serve with chips or vegetables. Be sure cream cheese is room temperature and soft or the dip will have small bits of cream cheese lumps in it. Add a bit for sour cream if you prefer a thinner texture.